The 20 Best Hotels in Andalusia. Spotted by our hotel experts (2019). Known for its cultural traditions, delectable gastronomy, and feisty atmosphere, hotels in glorious Andalusia are sure to tick all the boxes. As Spain’s southernmost autonomous region, it offers a variety of diverse destinations. A hotel along the coast conjures images of a dreamy vacation spent on golden sands, while an indulgent stay in Seville boasts access to a charismatic ancient metropolis that gleams in the Spanish sun all year round. From flamenco to tapas, Andalusia offers a majestic stay amongst one of Spain’s most attractive regions. Andalusia captures everything vacationers love about Spain. Famous for its sun-drenched coastline that attracts Europe’s more affluent residents each summer, to its traditional towns strewn about its diverse topography; Andalusia offers the perfect vacation for honeymooners or families seeking a vacation of discovery under the Mediterranean sun. 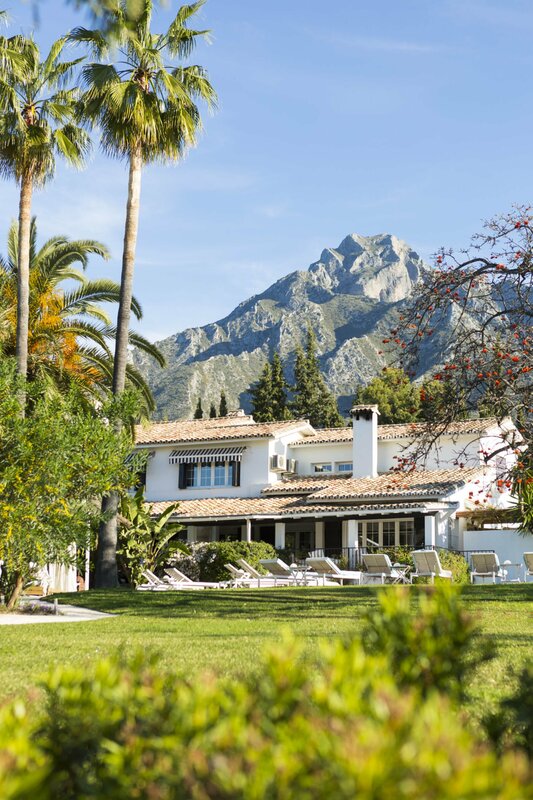 Luxury hotels in Andalusia provide the vacation of a lifetime against the backdrop of Spain’s exquisite culture. Many first-time visitors to Spain might opt for swanky hotels in Barcelona or Madrid, but the Andalusian capital offers travelers an entirely unique experience that’s a world away from the tourist strongholds. Seville sparkles with orange tree-lined streets, souring churches, ancient cultures, and many historic paradores hotels, all for a truly memorable stay. Once the heart of trade in Spain, Seville boomed as merchants from the newly colonized Americas passed through the city during the 16th century. This combined with the Moorish architectural influences from the conquest of southern Spain in the 8th century has shaped Seville into a city of idiosyncratic wonders – with a vibrant modernity to match. Spend the afternoon exploring the fabric shops and cafes of the Alvarez Quintero and stop for tapas at one of the many traditional restaurants around this collection of cobbled streets. A spacious hotel around this area places you within spitting distance of the breathtaking Patio de los Naranjos. Visit Seville’s Museo del Baile Flamenco, a museum dedicated to the history of Flamenco dancing which has its origins steeped in Andalusian culture. 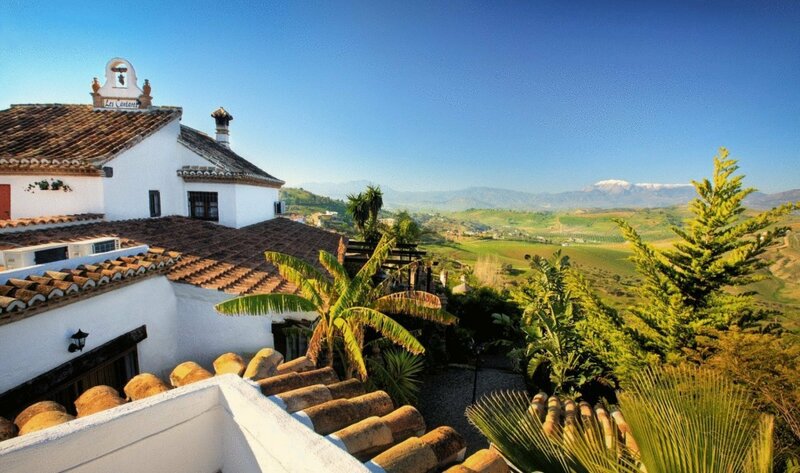 Lush natural surroundings, snow-capped peaks, and UNESCO World Heritage Sites make hotels in the Andalusian city of Granada a dream for vacationers seeking city to truly lose themselves within. Perched atop a hill overlooking the modern day city is Alhambra, a palace and fortress complex which once marked the center of Moorish influence in Western Europe. Intricately carved pillars and walls are characteristic of the Nasrid dynasty that once ruled southern Spain, and is found nowhere else in Europe. The palace also offers tours, hotels, and sweeping views over the city. Granada’s appeal extends beyond its rich history, however. The alluring alleyways of the Alcaiceria (once a Moorish bazaar and marketplace) are the best place to pick up a souvenir, while the Sacromonte district is where to head to catch some traditional Flamenco performances. Take a casual stroll along the romantic Carrera del Darro and admire the medieval bridges which along the Rio Darro, just below the Alhambra. The mighty Sierra Nevada is only a short distance from Granada, and offers an entirely different kind of vacation – complete with exquisite hiking, biking, and world-class skiing in in winter. Hotels in Granada provide a truly diverse destination. © Posada Los Cantaros Looking for a hotel that combines beachside relaxation with ancient and cultural wonders? Look no further than Málaga – an exciting harbor city that is revered for its museums, stylish city center, party atmosphere, and ability to reinvent itself. Just north of the glittering Costa Del Sol, Málaga has flourished in the last ten years, particularly with the opening of the Picasso Museum which promoted the city as the birthplace of surrealist artist. Málaga today fosters a stimulating mix of swanky rooftop bars, inventive restaurants, stylish hotels, and a port littered with luxury yachts and charter boats – as well as breathtaking monuments and churches which help retain its authentically Andalusian atmosphere. Choose a stylish hotel in the city’s new Soho district – a creative hub for alternative culture – or along the rich coastline with access to wide golden beaches and the Alcazaba of Málaga – a stunning 11th castle which looks out over the ocean. Málaga is a dream-come-true no matter what you look for on your vacation.